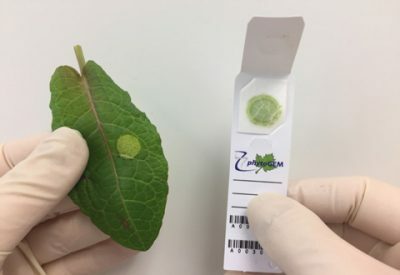 The PDQeX phytoGEM Crusher Tool provides easy preparation of plant samples for use with MicroGEM’s PDQeX Nucleic Acid Extractor. MicroGEM’s approach to plant DNA extraction has only two simple steps – quick sample prep and closed tube automated DNA extraction and purification. No need to freeze or grind samples. 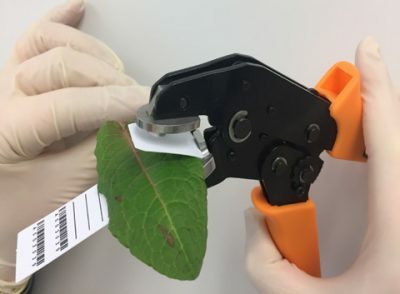 The Crusher Tool provides a simple way to obtain a sample from a variety of plant tissues. Simply place the plant material over a phytoGEM storage card and crush. That’s all. 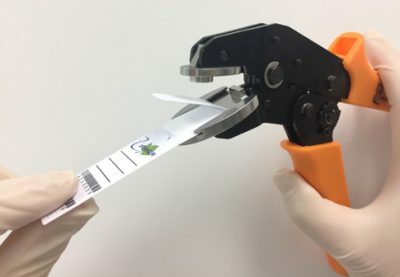 Your plant sample is now transferred to the storage card ready for extraction or storage. The jaws of the crusher tool can lock for easy packing. To unlock, squeeze the handles fully and release. The jaws will then be open. Lift the flap on the phytocard and slide the card into the groove of the crusher tool. Place the plant over the card and close the jaws firmly until they release. Your plant sample is now crushed on the phytocard ready for extraction or storage.